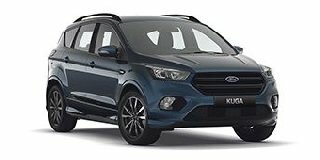 Download the latest Ford Kuga brochure and specifications document as well as get the latest pricing for this vehicle. The New Ford Kuga is now smarter than ever, parking assist, syncing and many more features to wane your hassles. Ford Kuga offers effortless hand braking, say goodbye to the traditional hand brake and say hello to the space saving electronic hand braking with a touch of a button. Kuga features a First Enhanced Park Assist that helps you find parking bay, it also help you to steer out while you work the great, accelerator and brakes.